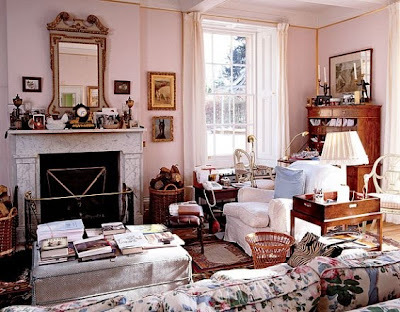 I should have mentioned in my last post about the Chatsworth House attic sale that my follow up would be about Deborah Mitford, The Dowager Duchess of Devonshire. Without her guidance, Chatsworth House would not have become one of the finest English manor homes. 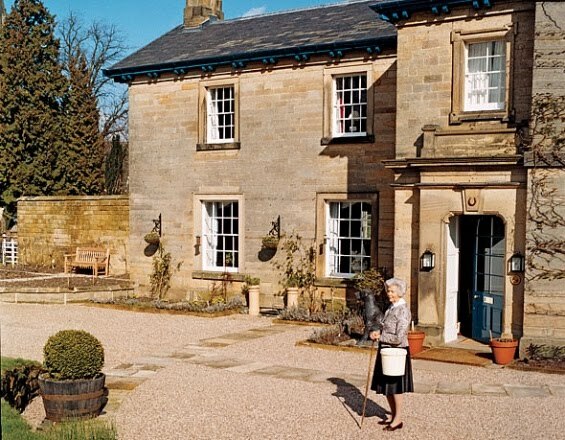 She was instrumental in its restoration and created the Chatsworth Farm Shop and other products to keep the home running. She also happens to the last living member of the famous Mitford family and even more famous Mitford sisters. It would take me a week to list all their husbands and adventures so I will refer you to The Sisters: The Saga of the Mitford Family and The Mitfords: Letters Between Six Sisters for further reading. The Dowager Duchess of Devonshire has also written many books on Chatworth House and this November her book, Wait for Me! : Memoirs will be released. Her sister Nancy Mitford's book Wigs on the Green is also being re-released tomorrow! After her husband died and her son assumed the title of Duke of Devonshire, she assumed the title of the Dowager Duchess of Devonshire. 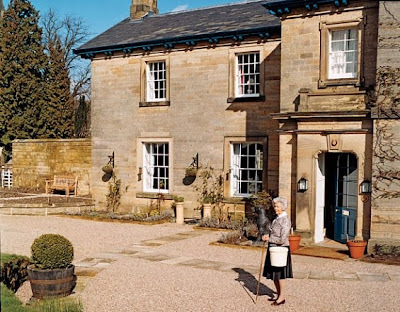 She is still very involved at Chatsworth and her famous chickens but a few years ago moved from Chatsworth House and into the Old Vickarage, a smaller cottage on the property. These photos from Simon Upton appeared along side the article in a May 2007 article in W magazine. Unfortunately, the article is not available online but I just saw that the September 2010 issue of The World of Interiors will feature an article about her leaving Chatsworth. 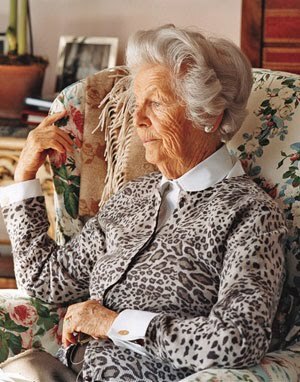 The Dowager Duchess of Devonshire is now 90 years old but I somehow don't see her slowing down any time soon! The pink of the living room reminds me of Hamish Bowles apartment. 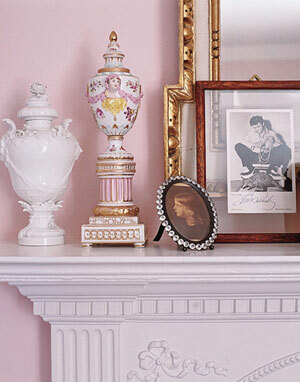 Her famous Elvis memorabilia sits on the mantel. 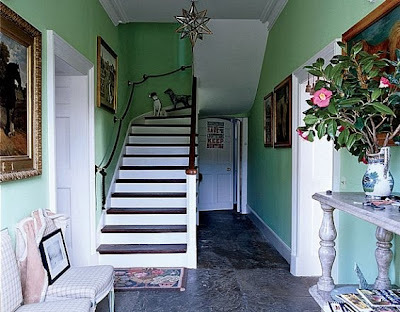 The wall colors look straight out of Farrow & Ball. 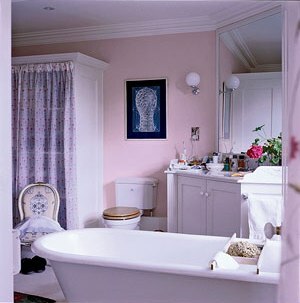 I hope The World of Interiors article has more photos of her lovely new home. 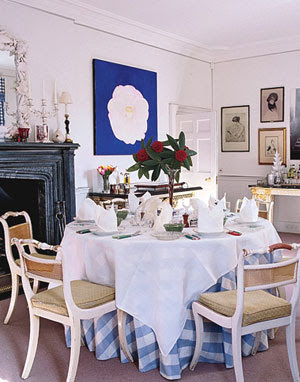 Kips Bay Decorator Showhouse is back on! NYIGF: Look who I ran into!